Painter, muralist and illustrator of great individuality, educated at Marlborough College. Studied art at Slade School of Fine Art, then in Paris. Initially he was principally a portrait painter. After Army cavalry service in World War I Henderson travelled widely, including Africa and South America, the local plants and wildlife finding their way into his often colourful work. 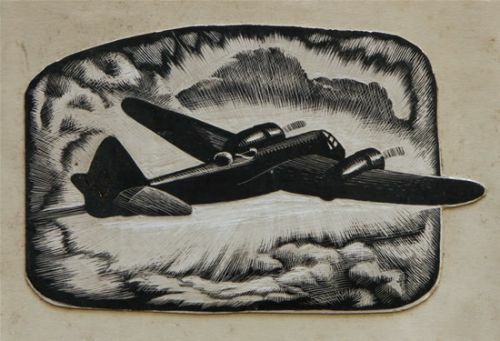 Official War Artist attached to Royal Air Force in World War II. Among books that Henderson illustrated are W H Hudson's Green Mansions, 1926, and The Purple Land, 1929, and he published several titles himself, including Palm Groves and Humming Birds, 1924. Exhibited RA, Fine Art Society and RWS extensively, as well as ROI and RSW. Pelter/Sands, Bristol gave him a solo show in 1980. Galleries in Glasgow, Manchester, Preston, Worthing and elsewhere hold his work. Lived at Spean Bridge, Inverness-shire.